Next-level warmth and waterproof breathability meet an exquisite cross-dye shell fabric with a rich color and texture-delivering a serious storm-fighting jacket that stands out in the lift line. Next-level warmth and waterproof breathability meet an exquisite cross-dye shell fabric with a rich color and texture-delivering a serious storm-fighting jacket that stands out in the lift line. Columbia&apos;s technical hooded Alpine Action Jacket jacket combines our superior synthetic insulation and a thermal-reflective lining for great heat retention with a high level of breathability, while ski and snowboard ready features like a snap-back powder skirt and removable storm hood elevate your on-hill performance. Omni-Tech™ fabric provides premium waterproof breathable protection from the elements for Columbia&apos;s best products. Microporous material allows vapor from perspiration to escape while blocking outside moisture from entering resulting in a garment that can keep you comfortable and dry even when you&apos;re performing in adverse conditions. My husband loves his new coat! We love Columbia products! 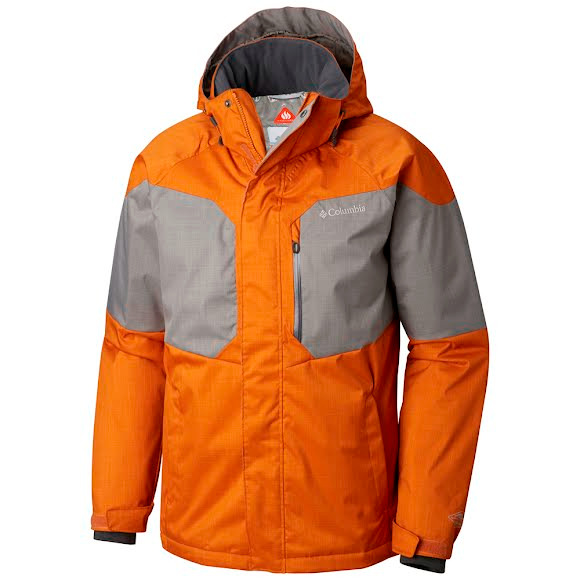 I recently purchased the Columbia Men's Alpine Action Jacket online, from BobWards.com. I made this purchase based on MANY favorable online reviews from others who had purchased the item, from many varied vendors. However, I have not yet used the item; will in several days, as I travel to California for a couple of days of downhill skiing. I am hopeful and excited about the Jacket, based on the many reviews, as well as my favorable experiences with other Columbia products. Before making this purchase, I examined the Jacket at a nearby storefront, after which I placed the order with BobWard's, based on a generous sale price. I will say, though, that my telephone interactions with BobWard's Customer Service, were EXCELLENT!!! I will definitely monitor products on the BobWard's website from here on out. This was my first purchase there; and, had never known of the company previously. Thank you for a fantastic experience! Coat is not very warm sleeves have no warmth, purchased a liner at J. C.Penny now the coat is warm, coat is well made but not warm at all. Never cared to wear two or three coats to stay warm. With out the new j. c. penny liner I would say not good under 35 degrees. This coat is a great November coat.